Who is an Oral Health Therapist? An oral health therapist (OHT) is a dental clinician who is trained to be both a dental therapist and a dental hygienist with a primary focus on health promotion and disease prevention. 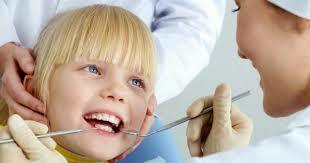 As a dental therapist, an OHT looks after children and their dental needs. As a hygienist, an OHT looks after the maintenance of everyone’s teeth. The training to become an OHT is at a university level, thus completion of high school at a high standard is compulsory with some universities requiring pre-requisite subjects. What can an Oral Health Therapist do? The big rule is that a graduated OHT is capable of performing procedures that they have been formally trained for. Since each university offers different levels of training, clinicians are able of performing different tasks from one and another. By practicing hand in hand with the dentist, an OHT allows the clinic to run efficiently thus, providing more personalised care for each individual patient. An OHT spends extensive amounts time training to provide care for kids regardless of the temper tantrums thrown their way. Through the years, oral health therapists have become an essential part of the dental team.